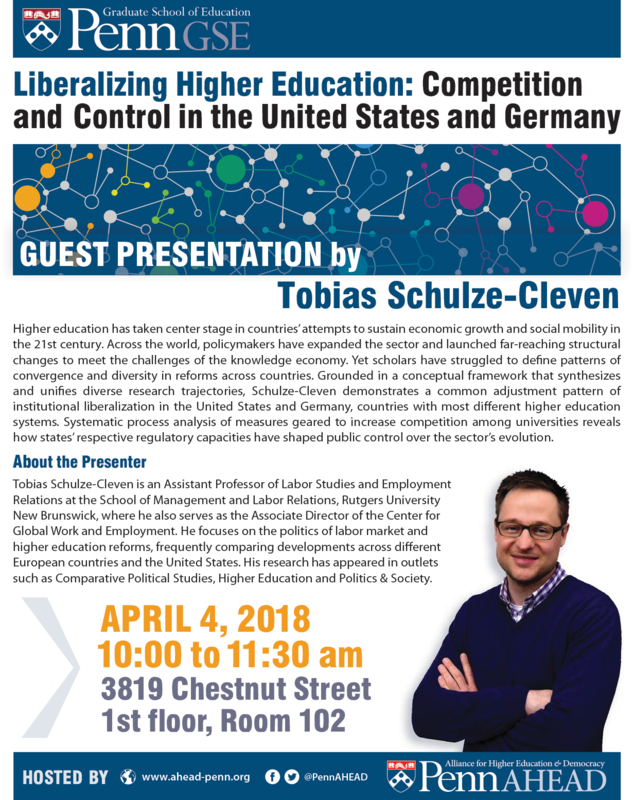 If you are interested in higher education policy and/or international higher education, please join us at 10 AM on 04/04/2018 @ 3819 Chestnut Street, Conf. Rm. 102 for this great a talk by Tobias Schultze-Cleven. The entire AHEAD team will be present, so we are looking for a stimulating discussion! Please download a copy of the flyer and help us spread the word!